A debate organised by National Initiative for Civic Education (Nice) Trust in Mangochi has exposed most aspiring councillors as failing to distinguish between the roles of councillors and members of Parliament (MPs). At some point, some councillors even said they will be custodians of Constituency Development Funds (CDF), something that is overseen by MPs. The Local Government Act of 1998 states that the functions of the local government council shall include ensuring constitutional order based on democratic principles, accountability, transparency and participation of the people in decision-making and development process. During a training of councillors on their roles in 2016, Centre for Alternatives for Victimised Women and Children (Cavwoc) programme manager Maxwell Kaliyati said councillors are responsible for facilitating small projects such as construction of school blocks, feeder roads, bridges and drilling boreholes. He said, on the other hand, MPs are responsible for major developments, making and amending laws and contributing to national budget. However, the debate exposed that peaceful co-existence among political parties in the politically volatile district is being registered as evidenced by mingling of supporters in their party colours mixing and cheering up their candidates. 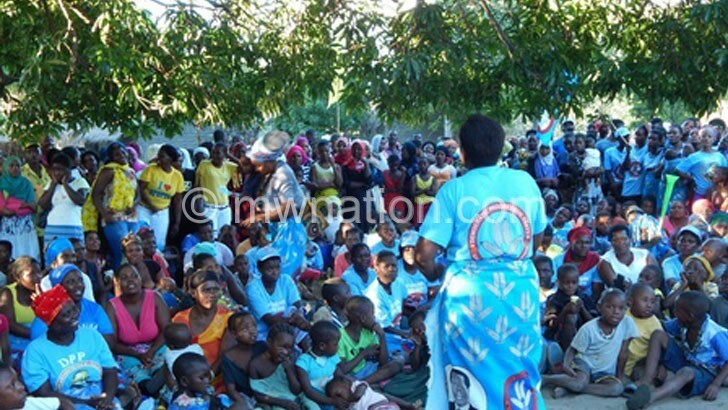 Speaking in an interview later at Ndege and Msukamwere wards in Mangochi Central Constituency, Nice Mangochi district civic education officer Turner Banda described the debate as outstanding as it revealed that most candidates need capacity-building.